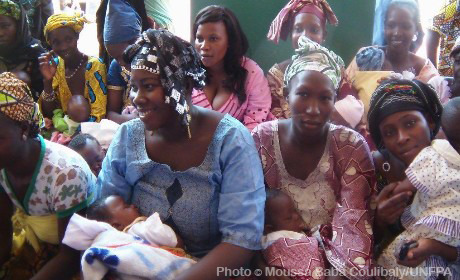 Active in Mali since 1973, UNFPA develops programmes to improve the quality of reproductive and sexual health services. With nearly half the population under the age of 15, UNFPA support targets hard-to-reach groups and adolescents in particular. Contraceptive prevalence is low and maternal mortality high. UNFPA also assists with developing reliable demographic data, and advocates for upholding human rights and gender equality, including through the abandonment of female genital mutilation/cutting and all forms of gender-based violence. Thirty years into the response to HIV, an estimated 3000 young people are newly infected with HIV everyday.